Aviation experts have asked the Federal Government to create stronger policies on air logistics for perishable agricultural produce. 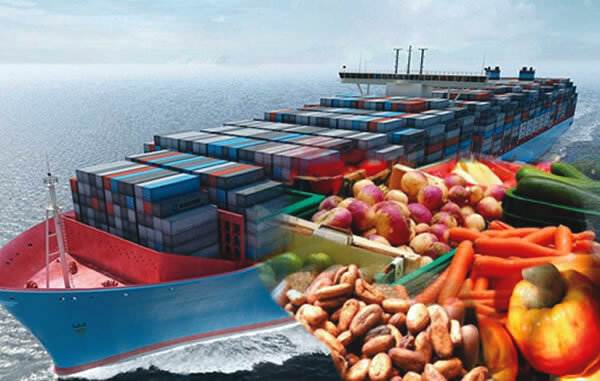 According to them, Nigeria is losing close to N3.6tn to export opportunities in agro commodities due to lack of operational and investment drive in the industry as well as in the aviation sector. The experts spoke at a recent workshop on agro air logistics at the Airport Business Summit and Expo 2018 conducted by FCI International Limited, in Abuja. In a report issued at the end of the workshop, they noted that there should be perishable goods unit in all airports to enable the management of the airports build capacity to provide support for warehousing, handling and transportation of the perishable cargo throughout the country and beyond. They also called for the establishment of one-stop quality inspection machines along the air logistics chain that would allow shippers to access services of government agencies such as the Nigeria Customs Service, Quarantine, Standards Organisation of Nigeria and The National Agency for Food and Drug Administration and Control for both local and international freighting. According to the report, the annual Airport Business Summit conveyed the special workshop session so as to close the development, operational and investment gap between the agro perishable industry and the aviation sector. The official document signed by the Managing Director of FCI International limited, Fortune Idu, listed the challenges facing the export of agro commodities to include distance of production site to the market; high prices of perishable goods coming from loss along the supply chain; insecurity hindering sustained production and evacuation; multiple levies; poor transportation and logistics infrastructure; power and relatively crude local market. Others are poor access to international the market; lack of comprehensive agro air logistics policy; clustering and touting at the freight corridor; de-marketing of Nigeria and lack of professional manpower placements; low government support to private investors; discontinued previous air cargo projects by the Federal Airports Authority of Nigeria and non-expansion of the air cargo apron of the Murtala Muhammed International Airport project, among others. “If these challenges are resolved, there would be more new Jobs, new airport revenue, reduction in cost of perishables, healthy food to mitigate food security, increased revenue for airlines, support to government’s plan for ranching, creation of investment opportunities into special cargo services and promotion of investments into cold chain logistics,” the report added.